It's time for my very first book review! 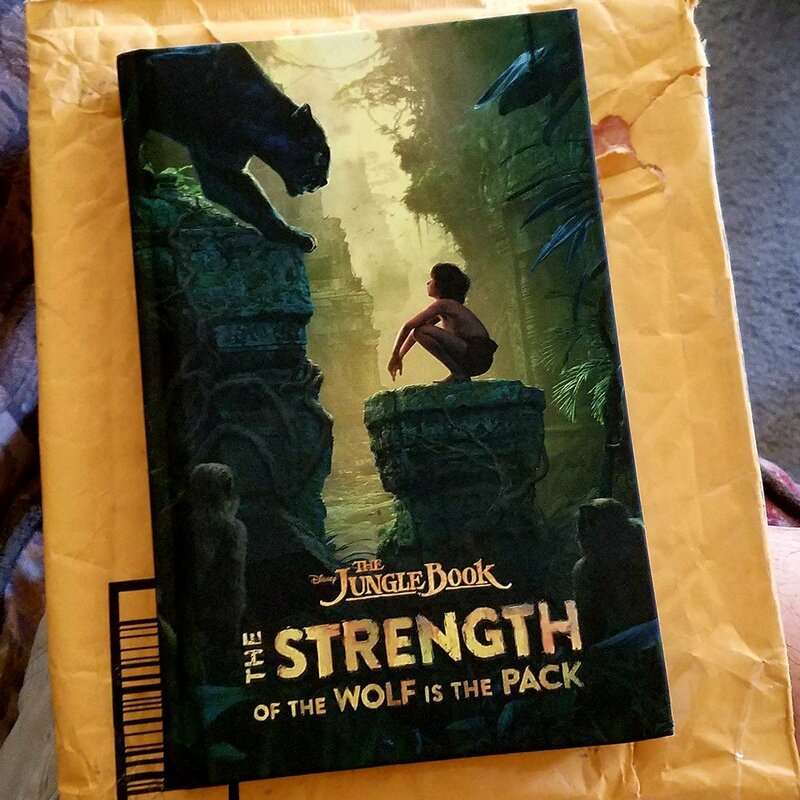 I am happy to present a review of The Jungle Book: The Strength of The Wolf Is The Pack! 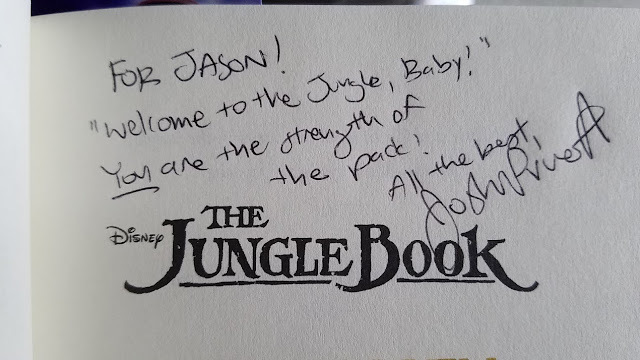 This novelization is based off the recent The Jungle book movie directed by Jon Favreau. We are introduced to Mowgli and being part of a wolf pack. Bagheera, a panther who found Mowgli, is there to help raise the man cub as well. The relationship between this man cub and the other animals of the jungle is fairly harmonious with the exception of the tiger Shere Khan. Khan doesn't like humans since his face was badly burnt by one. He wants the wolves to turn over the man cub to him. Mowgli decides to leave in hopes that no harm comes to the pack. Bagheera offers to take him back to the man village. After an attack by Shere Khan, Mowgli gets separated from Baheera and ends up meeting a snake name Kaa and a bear named Baloo. While Mowgli is hanging out with Baloo, the massive King Louie sets his sights on the man cub and his search for man's red flower, the animals term for fire. The book is based off the screenplay by Justin Marks, and writers Scott Peterson and Joshua Pruett. My review copy was generously signed by Joshua Pruett. The book is easy to read and is geared towards ages 8 to 12. I easily poured through it and loved the differences between the screenplay and the actual film. In the book you get some of Mowgli's nightmares that are not in the film as well as some backstory on why Bagheera and Baloo do not get along. I loved reading this book after seeing the movie. I was always one of those kids and adults that usually read the novelizations before seeing the movie or after seeing the movie. I highly recommend this book to anyone who is a fan of the new film. If you are interested in purchasing this book, click on the image of the book below!